There was a time when I considered not photographing Senior guys anymore, just focusing on the girl Seniors. Girls always seemed more excited and more involved when it came to their shoot. I wanted to create images for people who appreciated them, and guys always said they never cared. That was until a few years ago when I photographed a Senior guy with the same old story- who’s mom had called and told me her son didn’t care at all about getting his portraits taken, but it was important to her. Like any shoot I ever do, it’s my main priority, I’m there to create something memorable and impacting for not only those being photographed but those viewing the photos too. And that’s what I did with that shoot, for mom, and for him, regardless of what he told me. I also made sure to really take into consideration this Senior’s style, what he was into, who he was, and how he envisioned these, even though he sad he didn’t care. After seeing his portraits for the first time it was really obvious that wasn’t true. He was so proud of himself and loved each and every image. He just kept commenting on how good he looked and how great the shoot was. That’s when I realized- guys can say and act however they want about this whole process, but just like girls, just like anyone, they want to feel good about themselves, they want to show off what they’ve worked really hard for, and they want to be celebrated in their last year of high school! Dylan is the true definition of a charming guy. He’s a little quiet, he’s got the cutest little smirk, and I think he might even have the tiniest of southern accents some how. His outfits stayed true to his style- chic and simple, but not in a bad way. Some guys just don’t need all of that. He loves the outdoors so we hit up every look we could- woods, water, city, country back roads with an abandoned house. His smile photographed great, but when he rocked that serious face I’m sure young girls hearts were and are still melting. I’m glad I never trusted those other guys when they said they didn’t care about their Senior Portraits. 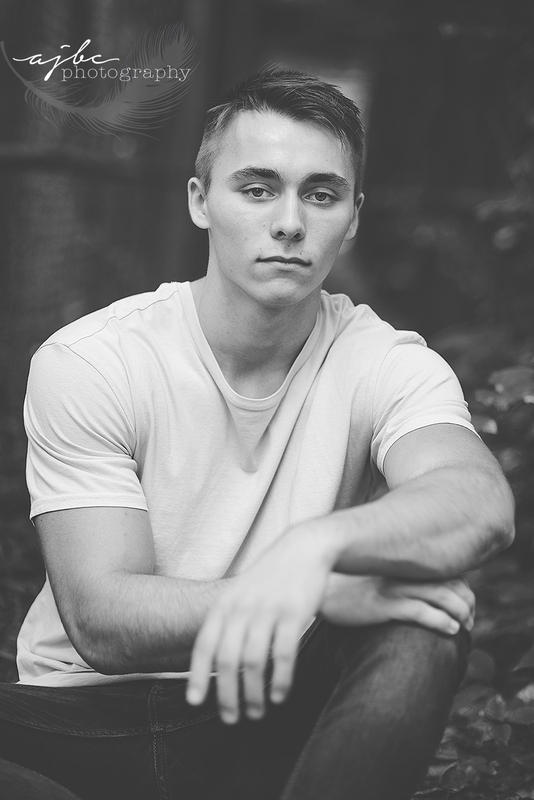 We’ll continue to photograph guys here just to prove them all wrong- that we can and we will make you swoon over your own pictures and be damn proud of yourself when you’re done with your shoot with us. Because whether these guys like it or not, we all need a reminder of all that we have to offer, and portraits are a powerful way of visually expressing that. If you like this abandoned building look check out Nik's Senior Session! For more senior style check out Troy's Senior Session!